With a vast array of medications available for prescription, psychiatrists demand reference books that quickly summarize various drugs with an emphasis on their properties, most effective usages, cross-indications, and potential side effects. No busy practitioner can expect to keep abreast of the numerous advances in psychopharmacology that emerge each day. 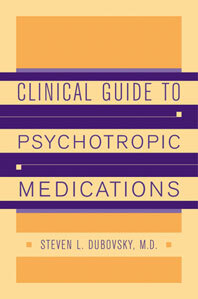 This book provides rapid access to important facts and principles in the use of psychotropic medications. Accumulated knowledge is summarized succinctly, and new findings are summarized, with comments that will help the practitioner to interpret the findings and apply them to everyday treatment. 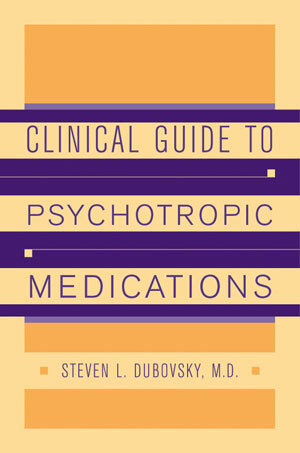 The emphasis is on presenting information that is practical and useful about antipsychotic medications, medications for neurological side effects and illnesses, every class of antidepressants including instrumental therapies such as ECT and rTMS, recognized and experimental antimanic drugs and mood stabilizers, anxiolytics, hypnotics, medications for substance abuse and herbal therapies. Applications of these treatments to psychiatric and other illnesses as well as important side effects and interactions with other medications are available in a form that allows rapid access to the information that is necessary to treat your patient today.